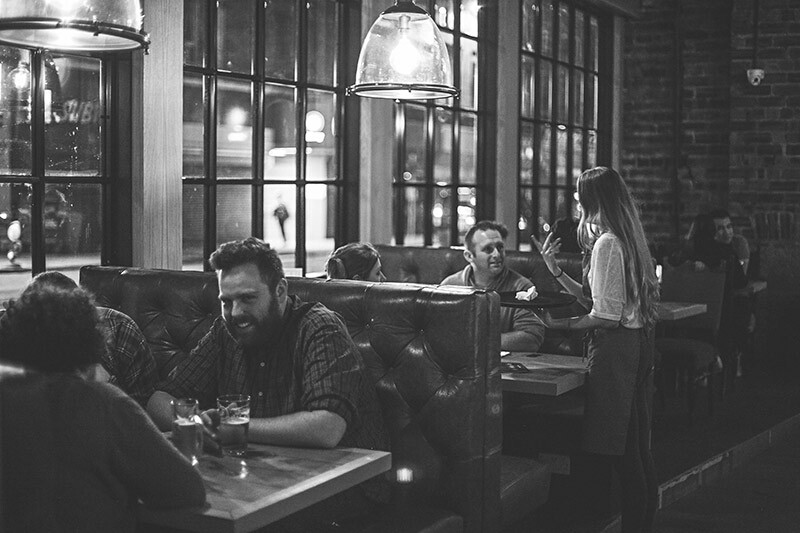 Where you can come to relax and enjoy a wide variety of dishes & beers with a twist of Scottish influence. 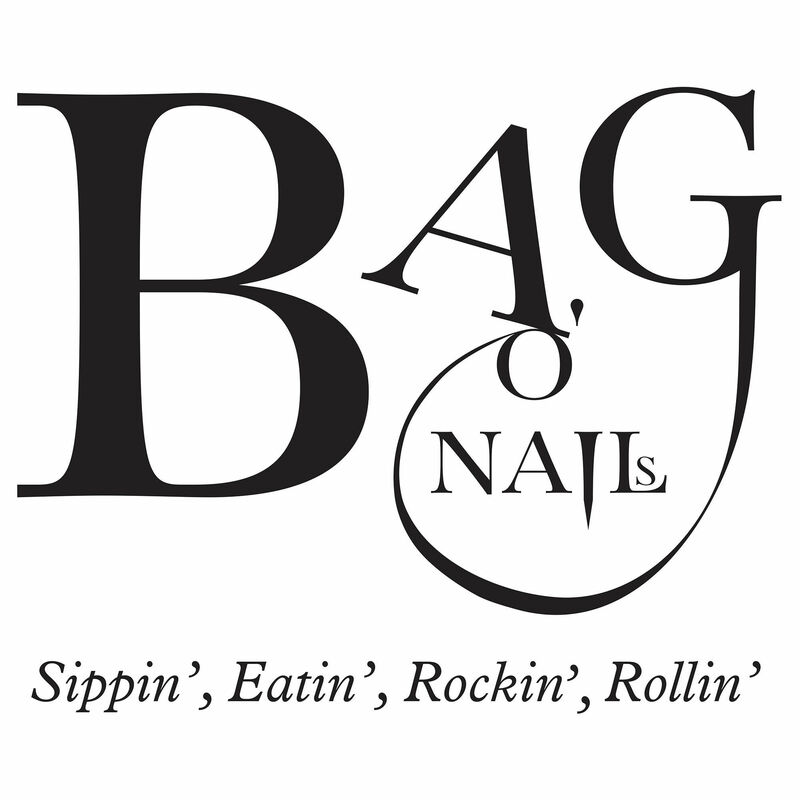 From a quick bite to eat to a slap up meal, Bag ONails Kitchen will satisfy your needs. Every dish is prepared with local produce and homemade by our team of chefs. There are nightly specials showcasing some of the finest Scottish cuisine and traditional dishes are given a contemporary feel by our talented team. If you fancy some late bites, we run a reduced menu until 12am. Our table was booked for 5.15 we waited until 6pm and still no starter arrived the staff said the kitchen was busy but as far as we saw not all tables were taken.... after another 10 mi s we cancelled our order and settled the drink bill. We did get a free drink but no dinner. Just as we were in the bar finishing our drink a member of staff came and offered us our dinner free but at that point it was too late . Wouldn’t go back Here for food again. Poor service from kitchen and waiting staff. Lovely food with great service. Will be back. Music is too loud for day time though. Thanks. 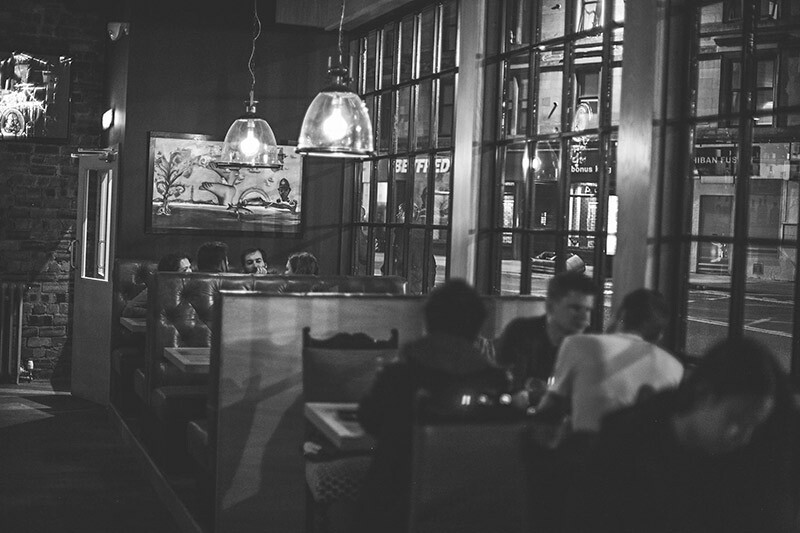 The staff are very friendly however our booking was for drinks in a couple of booths downstairs and unfortunately our booking wasn't processed correctly so we were instead placed upstairs where it is more of a restaurant and the atmosphere wasn't as great. The drinks are also quite pricey for a pub! Great service and reserved tables for drinks without issue. Another good experience at bag o nails, food excellent, waitresses very attentive. The food and service was great however i did find it very noisy as there was a live band playing and the music from the bar area made it quite difficult to hear one another talk. I can't fault the the service or the food... probably just my old age found it a bit too noisy. We had relatives up from England and it was my sisters birthday dinner we had booked a table! Food was fantastic atmosphere fantastic (football was on which is fine but don’t think it should be on in the restaurant part) the thing that let us down was the service the service was shocking absolutely shocking we ordered a round of drinks and half an hour later no drinks we complained as we were cancelling the drinks and asking for the bill the girl came from the bar with the drinks there seemed to be some discussion on what to do with the drinks between the waitress staff! All we were told was they were busy I’m sorry but no that’s not acceptable it’s a restaurant bar on a Saturday night Of course it’s going to be busy but that shouldn’t effect the service you had our table booking! I never complain but the way the complaint was handled and seeing staff members huddled round like they were gossiping on a night out is unacceptable it was as if we the customers were in the wrong and in the wrong for complaining! I really can’t fault the food but everything after that was hugely disappointing we left and went somewhere else to get our drinks! Food was excellent. Attentive waitress. Recommend. Booked 2 booths here for the last couple of years for a friends Christmas get together. Great choice of beers, great atmosphere, great bar. Always show the footy but play good music in the background too. Great live music came on later. We all had a great night. Will be back again for sure! Great afternoon and evening at Bag o’ Nails. Music and the service was excellent. Burgers were great! Food and service enjoyed by one and all. We have eaten here a few times at different times of the day and the food has always been pretty darn good. This was why we booked to have our Christmas dinner here. The food was really good and the service was spot on. It was a bit noisy for an intimate dinner however we had a great seat and it was nighttime where people were out celebrating the festive season so can’t be helped. Perhaps if we had had a few more drinks ourselves we might’ve not noticed the noise so much. Fab food and service. Great night had by all, will be back again! 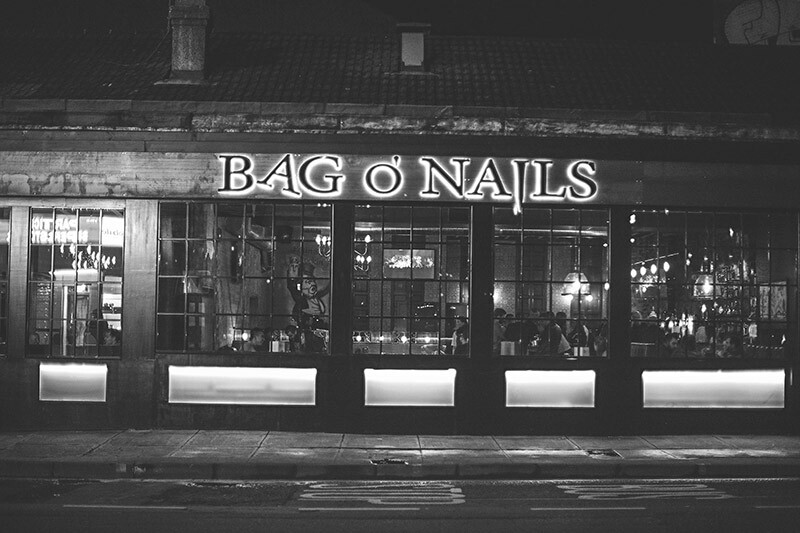 Have been to bag o’ nails a few times lovely atmosphere great food and service. We - all 9 of us - loved the whole session. Delicious meals, very attentive & professional service and great atmosphere. Thanks!